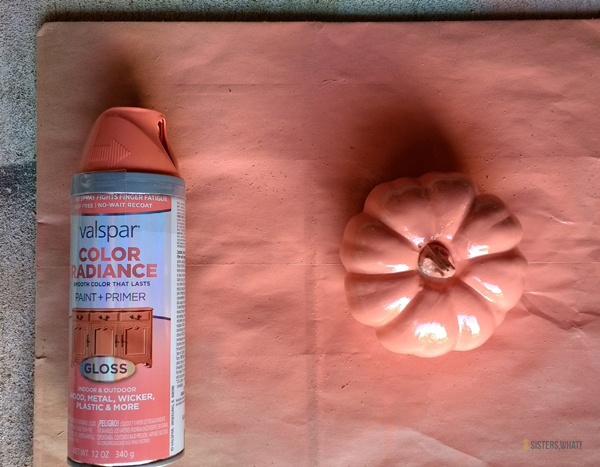 ' Spray Painted Colorful Pumpkins - Sisters, What! 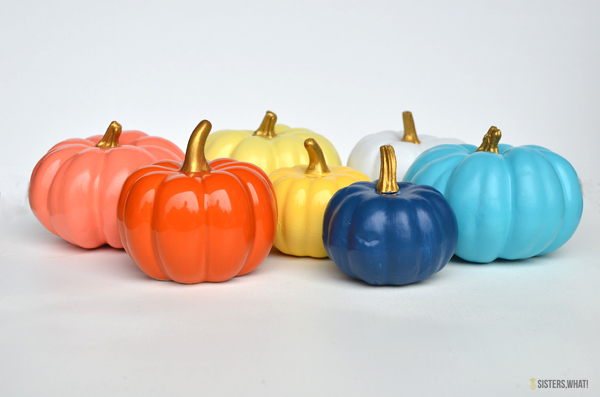 Have you been seeing all the many different styled pumpkins around lately? 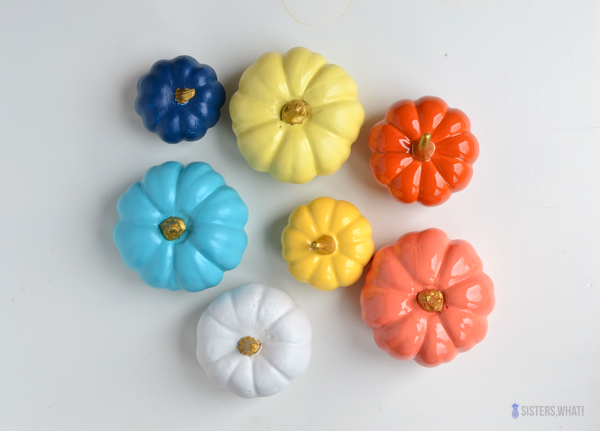 From flower painted, yarn covered, to succulent family pumpkins. 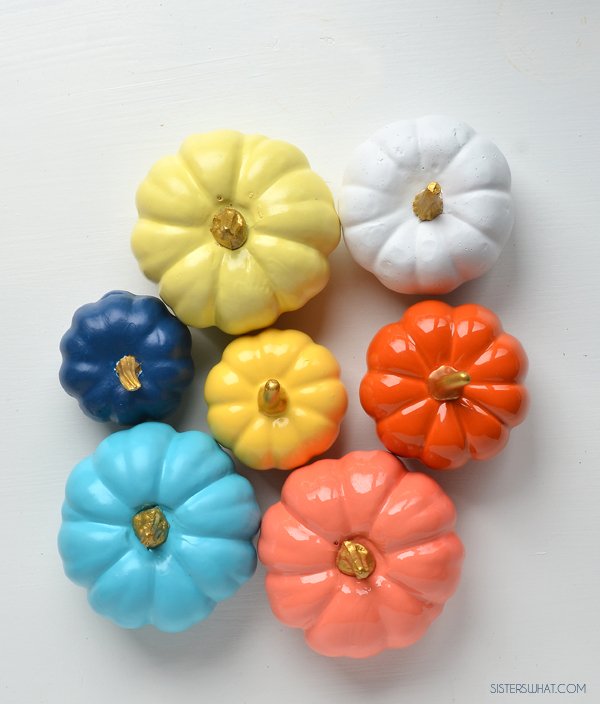 These days it has become the art canvas for fall, and for good reason, pumpkins are the best. 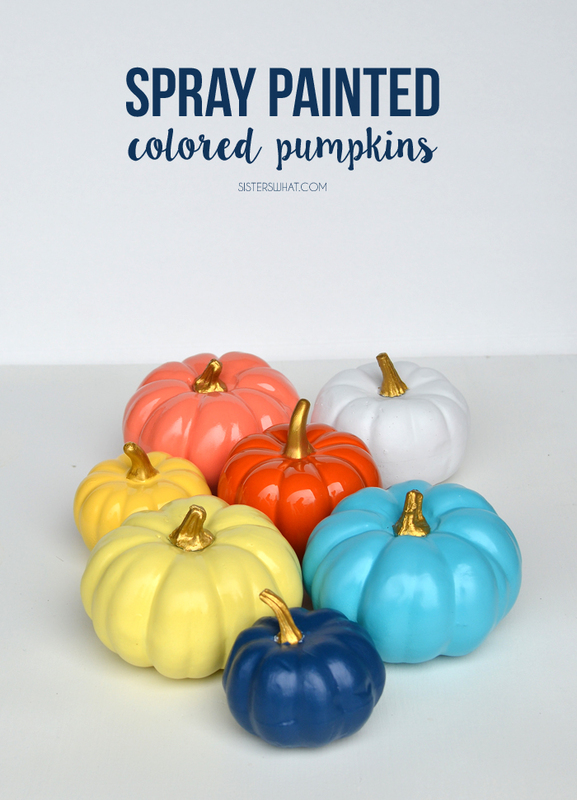 I particularly have fallen in love with the use of vibrant colors for fall decorating (as seen over at Kailo Chic Blog), instead of the standard oranges, reds and yellows. 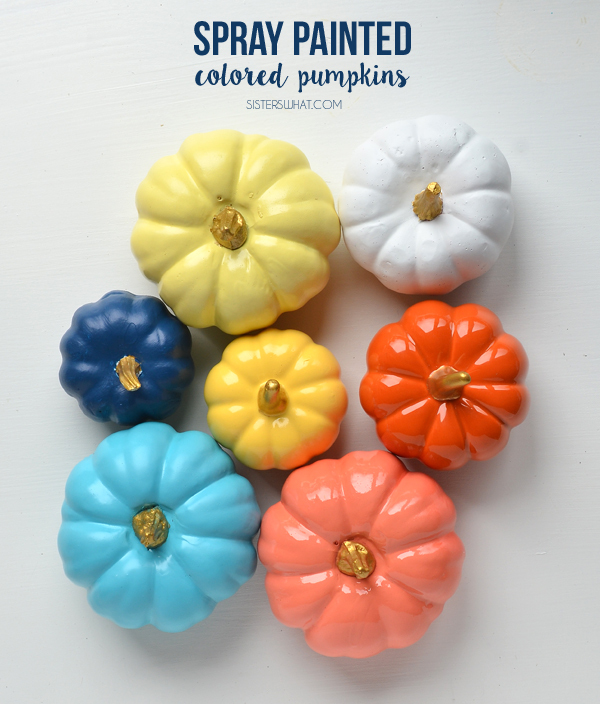 Which are all great, but I love the idea of adding other colors to the mix as well, like coral and blues. 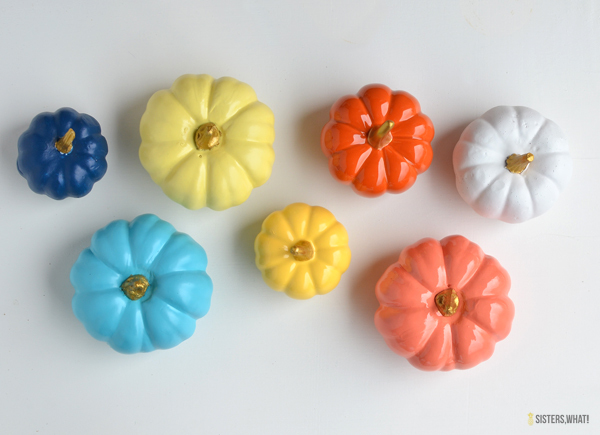 For the past month and a half, I've have slowly collected little pumpkins from thrift stores to target. 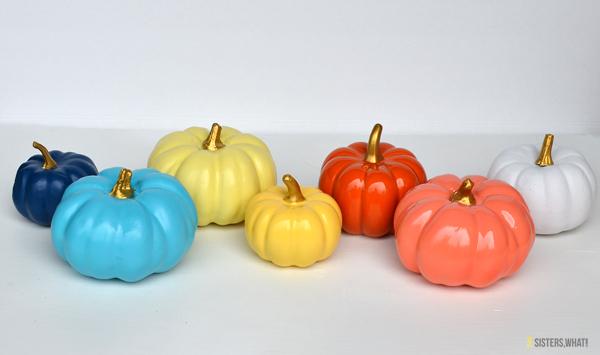 And even more slowly, I have transformed them to vibrant colors with gold tops. 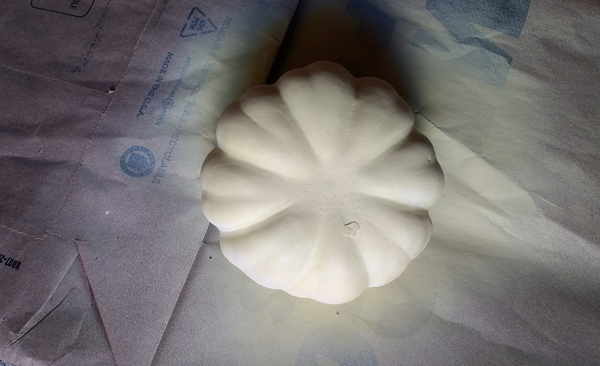 The crazy part is that they were SO easy to transform (despite it taking me a whole month and a half to do - but my life is a little crazy right now ; ). Anyone can do this and the blue ones were sure winners to my 5 year old.